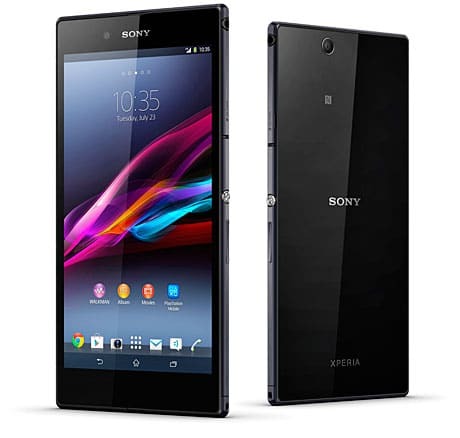 Sony has unveiled the Xperia Z Ultra, an ultra slim, waterproof and dust-resistant NFC phone with a whopping 6.4-inch full HD display, Qualcomm Snapdragon 800 processor and 4G LTE. Launching globally from Q3 2013, the Xperia Z Ultra’s display is the first of its kind used in a smartphone while the Snapdragon 800 is considered the world’s fastest dedicated smartphone processor, says Sony. Its NFC functionality can be used for instantly sharing music, photos and videos and pairing with other devices such as Sony’s new SmartWatch 2. 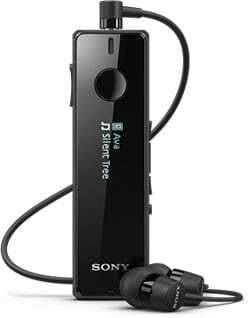 The super-sized Android phone can also pair via NFC with Sony’s SBH52 Smart Bluetooth Handset — a tiny minimal handset that allows the user to talk and move around freely while leaving their smartphone in their pocket or bag. “The Xperia Z Ultra is the most exciting revolution in large-screen smartphone entertainment devices with both the slimmest and largest full HD smartphone display in the world,” says Calum MacDougall, director of Xperia marketing at Sony. Only 6.5mm thick and weighing 212 grams, the Xperia Z Ultra is capable of shooting 1080p videos underwater with its 8 megapixel camera, just like the recently announced Xperia ZR.